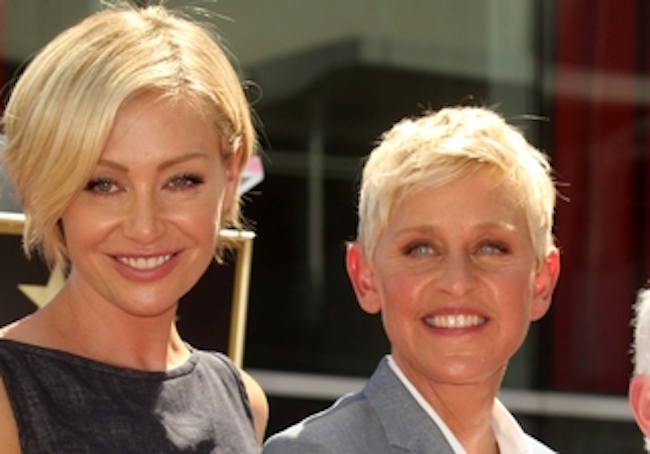 With blazing fires continuing to engulf Southern California, Ellen DeGeneres and wife Portia de Rossi Ellen DeGeneres have been forced to evacuate their home — a beachfront property that’s been on sale since March. Currently, the fires have spread through an area bigger than Boston and New York combined: The Thomas Fire now spans over 230,000 acres and is the fifth largest fire in California history. “I’m proud to be a part of this community. Currently, roughly 4,000 firefighters are working around the clock in the hopes of extinguishing the blaze. Meanwhile, Republicans are working feverishly to screw blue states. Unless the house was actually ablaze and she and Portia had to be escorted out by firefighters, how is this news? They were not the only ones forced to leave. This was news just because it was their house and they spent alot of money on it. When it was up for sale with no buyers it was news again. Now it is in the general vicinity of the CA fires so it must definitely be news now! !